Winter is here. That time of year between when the abundance of berries and fruits has passed, and when the new shoots begin to grow in the spring. 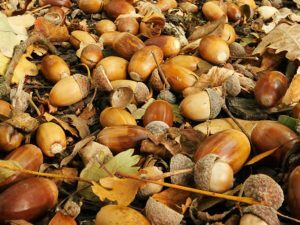 Even so, there are a few winter fruits and nuts to keep an eye out for. Follow this guide and head outdoors. Not many people are aware of this but you can actually eat ripe acorns. They cannot be eaten raw though, you have to prepare them first. 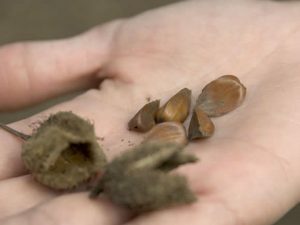 Beech nuts make a nice, tasty nibble when you’re out and about. These can be eaten raw, just scrape off the outer brown skin and eat the triangular seed inside. 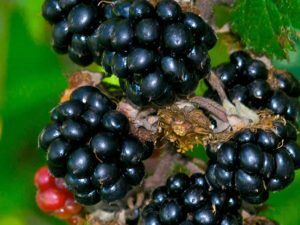 Blackberries are probably one of the most foraged wild fruits in the UK. 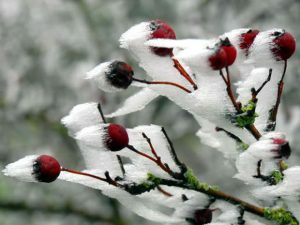 If you’re lucky and have a sharp eye, you might still find a few in the hedgerows during winter. However the majority of these will be completely depleted once the colder weather sets in and wildlife struggles to find as much food. Chestnuts are the classic wintry treat. Look out for spiny casings on the floor. 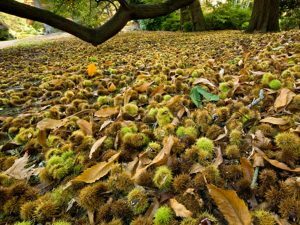 Chestnuts aren’t actually native to the UK, as they were introduced by the romans. However that doesn’t stop them from tasting absolutely delicious when you roast them. 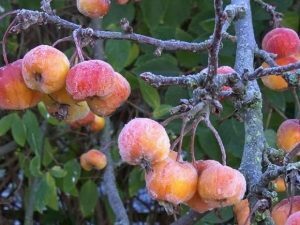 Crab apples are small, sour fruits that can form part of some amazing winter recipes. Their tart and tangy flavour is a favourite among many foragers. Hawthorn berries can be eaten raw, however they do not taste too great this way. The stone in the middle is rather large, and the actual flesh itself is dry and starchy. 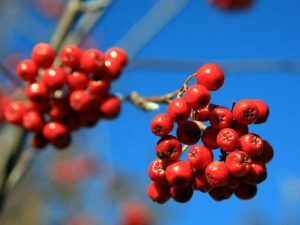 Hawthorn berries are often used in jams, vinegars, ketchup and liqueurs. 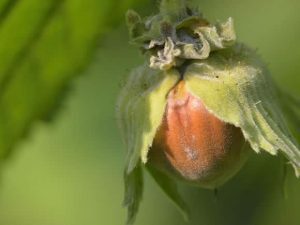 Hazlenuts are another foragers favourite. However they are also a favourite of the grey squirrel, so you may have trouble finding some if they have got to them first. 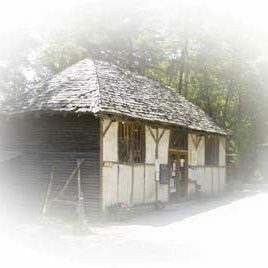 Pine nuts can be obtained from open pine cones by shaking them to dislodge them. You can eat them raw but they taste slightly better if roasted or toasted. Rosehips are great in wines, jellies and jams. 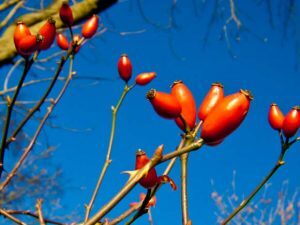 Some people even make a rosehip cordial out of them, which they pour on to ice cream or pancakes. Rowan berries are orange-red in colour and are found in clusters. With these you can make rowan jelly, wine or fruit vinegar. Sloes are blue-black in colour and are available for picking from the end of September to December. The favourite recipe made from these wonderful berries is sloe gin. 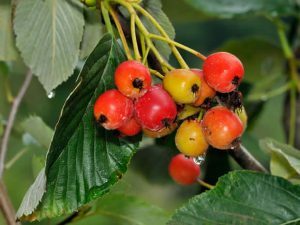 Whitebeam berries can be eaten in the same way as rowan berries – in jellies or jams. 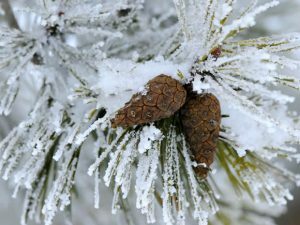 Contrary to popular belief, there are actually quite a few things that can be foraged during the winter months. The best time to get out and get foraging is about now – the beginning of winter. As winter progresses the temperatures plummet and the animals tend to eat everything to provide themselves with enough energy to keep warm.